We went to this bar on the boat of our friends Eric and Tracy and met Jen and Jason there. This was shortly after we discovered the remote control fart machine, which made it a long night for some. 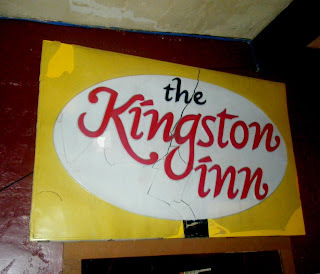 Then the Kingston Inn burned down in September of 2005 (no fart devices were implicated). The sign in the photo now resides in the Filling Station.